Custom Name mcqueen cars Art Prints for Boys room wall decor on beautiful colors, it will decorate your boys bedroom and make it more beautiful! 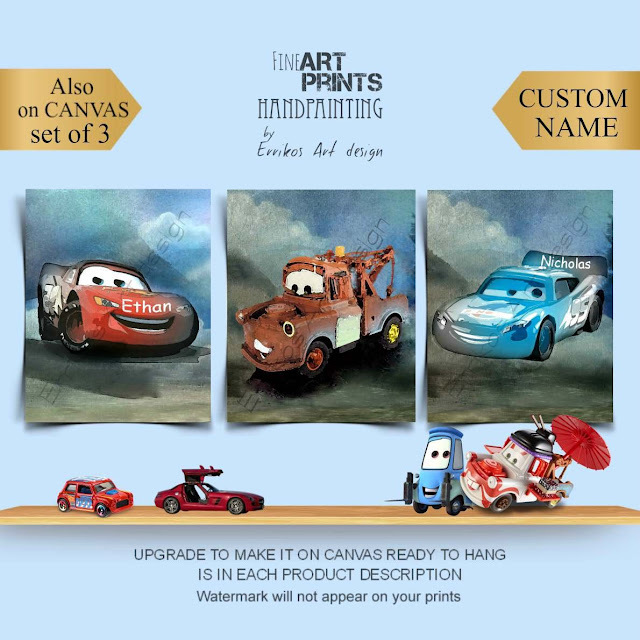 This is a SET OF 3 mcqueen Cars Art Prints of my ORIGINAL Artwork for baby nursery or Boys room wall decor! If you have any questions, feel free to contact me, it's always my pleasure. All images copyright by Errikosartdesign © 2012-13.